By Mike Collins, Commercial Client Advocate, J.C. Restoration, Inc.
One key to success in business is this: take advantage of opportunities to demonstrate your knowledge and skills to help establish yourself as an expert. In today’s competitive environment, smart managers will cut through the fluff of traditional advertising and marketing communications to conduct in-person meetings that provide a forum for the exchange of ideas and information. 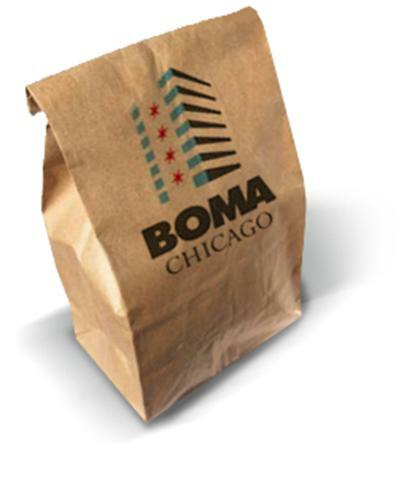 BOMA/Chicago Affiliate Members can provide just that by leading a Brown Bag Seminar, one of the many educational offerings developed through the Professional Development Center. For those unfamiliar with the program, Brown Bag Seminars give Affiliate Members a chance to deliver a presentation on topics related to managing commercial real estate. Each seminar lasts around one hour, with 30 minutes allocated for a question and answer session. Attendance of the seminars – offered at no-cost to BOMA/Chicago members – runs from 10 to 50 participants. As a relatively new member to BOMA/Chicago and its community of property managers, I welcomed the opportunity to become a recognized face and subject matter expert; it proved to be a very valuable use of my time, and a rewarding one, too. Preparing for the Brown Bag Seminar last November did not require a large time commitment because I modified a presentation I had delivered previously. With minor tweaking for a downtown, BOMA/Chicago-specific audience, my PowerPoint presentation was finished within an hour or two. 1. Building managers should research restoration company alternatives before a need arises. Demand for my services most often comes suddenly, with no time to exercise the due diligence employed in hiring any other service provider or contractor. 2. Use a set of criteria for drilling down and judging the caliber of companies offering restoration services. I believe attendees were able to draw up an appropriate list of pointed questions to help accurately assess provider options. A big reward came a few months after hosting the Brown Bag seminar when a senior executive who attended the seminar invited J.C. Restoration to bid on a portfolio of properties he managed. We have since become their exclusive provider of emergency services – an opportunity that surfaced directly from the Brown Bag Seminar. If you are thinking about leading a Brown Bag Seminar, I suggest you go for it! You’ll get the attention of business prospects interested in your subject matter, and you’ll become a trustworthy resource for them so you won’t be forgotten when an opportunity arises. I had expected to be put on a year-long waiting list to deliver my presentation, but I was on the agenda much sooner. If you’ve lead a Brown Bag Seminar or similar program, please share your thoughts. What were the benefits to you and your audience? And if you’ve attended as a manager, what value have you gotten from attending – and what value might the presenters have gotten for their efforts?